If you're looking for reliable roofing contractors in Silver Spring, MD, Seneca Creek Home Improvement has an A rating from the Better Business Bureau and an A rating from Angie's List. We are a roofing company who aims to deliver an outstanding value for at a competitive price. We realize that a new roof install is an investment, so our roofer work to find the ideal material and roofing solution for your tastes and budget. Our roofers in Silver Spring, MD are dedicated to ensuring you're fully satisfied with our company and roof repair or home remodeling services. Our crew of roofing contractors treat each of our homeowners with courtesy, and our contractor be available to answer all your questions about our services before we start your job. This roofer is dedicated to exceeding your expectations so that we can add your name to our growing list of satisfied clients and reviews. Our roofers and installers are experts in exterior solutions for homes and businesses. Whether we are installing a new roof and gutters on a house, remodeling your business exterior with new windows and doors, or providing a flat roof repair, you can expect the best service and attention to details. Our team of installers is familiar with a wide range of dependable roofing materials. Whether you're looking for asphalt shingles, synthetic shakes, tiles, or a metal roof, we've got your new roof installation covered. For your peace of mind, we're GAF MasterElite Roofing Contractors and Certainteed ShingleMaster Roofers. You can rest assured that our installers will complete your project in accordance with the manufacturer's recommendations so that you can enjoy the benefits of any applicable warranty. 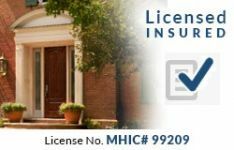 As a licensed contractor, we stay informed of local building codes and city bylaws so that we can complete your project to meet or exceed the standards that apply in your neighborhood, and you don't have to call and learn the process. Our company is committed to quality workmanship on every job, and have the customer reviews to prove it! When you trust your Silver Spring roofing project with our Maryland team, we'll make sure your home looks great and is fully protected from all weather conditions. Have a question regarding roofing, windows, siding, doors or gutters? Please ask an expert from Seneca Creek Home Improvement of Silver Spring MD today. Call us when you need a knowledgeable Silver Spring, MD roofing contractor, you can trust our team of exceptional and dependable installers. I wanted a roof; however, because of the peculiarity of the roof design for my house, I was scared I would not find any roofers that could get the job done. Seneca Creek Home Improvement installed the roof on the porch, I am very pleased with the quality of the product and the honesty of this roofing company. At first, we were nervous about looking for roofers to do a complete roof replacement. The subject was foreign to us, and we were nervous about getting taken advantage of. 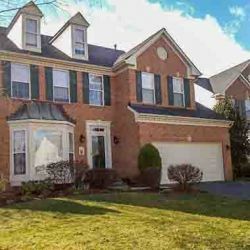 Seneca Creek Home Improvement was a pleasure to work with from minor roof repairs to the inevitable need for a full roof replacement. Tim was wonderful in explaining our options and gave us a top-quality product that was within our means. He is a down to earth guy with a great sense of humor and a lot of knowledge about his products. We appreciated the recommendation to replace our skylights during the roof install as we ultimately saved ourselves a lot of money and aggravation. The team of roofers were hard-working, and we have absolutely zero complaints on craftsmanship. We take comfort in the roofing companies warranty and feel that as customers we are always treated with the utmost respect. Call today for your free professional window, siding, roofing or door project consultation! Learn the common causing factors responsible for damaged and destroyed roofs and roof structures. The two main metal roofing categories include panels that use exposed fasteners and ones with hidden fasteners. The growth of moss on a roof can lead to expensive repairs and structural failure. Things that can lead to roof damage include nearby trees, animals, and gutters that are full of debris. Good sales presentation. Vender provided several brochures about the products that they use - the only vender that provided any useful brochures. Salesman was knowledgable and very response to email questions. Twelve workers performed the installation. They showed u about 8:30 in the morning and finished the job about 2:00 in the afternoon. We put 100% into every job! Really appreciated working with you! Jeff Leach and his crew at Seneca Creek did a great job on time. When I had a question about the work, it was answered immediately. Thanks Martin - we pride ourselves on customer service! Recurring customer, always 100% satisfied! Jeff and his team are exceptional. They replaced my back door, front door, roof, front bay window (including aluminum wrap over the existing wood), and leaking second story window. The work is completely in a timely manner, but not rushed. Very professional quality and follow-up. You may get a cheaper option at big box home improvement store, but you get what you pay for, Seneca Creek is worth paying the additional cost. Product and expertise is superior. Thanks, Andy! We understand the importance of your needs as a homeowner so our team is dedicated to provide you with high quality and lasting results at a very competitive price. Everyone I worked with was knowledgeable, polite and gave excellent customer service. Happy to have worked with you and provide you excellent service. Very pleased with Jeff Leach and his initial presentation. Felt good about hiring his team. They came right on time as expected and did a beautiful job! They cleaned up so well when they were done that I could not find a trace of any left over mess. The roof and new gutters look great! I highly recommend Seneca Creek for roofing and gutters. Thanks for recommending Seneca Creek Home Improvement for roofing and gutters. Work included replacing my front door and storm door. The installers were kind, clean, and professional. They installed the doors perfectly! Quality work! Glad you are happy with our service and the installation. Quality . . . that what I got! Thank you for the recommendation. We pride ourselves in making the experience a good one for all of our customers and providing a quality product and quality installation. Anne - Thank you for the referrals! We had our windows replaced and, as usual, it was a well done job. Thank you for providing us with reliable and high quality products and services and also exceptional customer service. I would give Seneca Creek Home Improvement 10 stars if I could. Thanks Lisa! Our expert crews provide our customers with high quality products and services. Thanks May! Our expert team is highly trained to provide all our customers with superior services. Seneca Creek provided the most professional and excellent customer service. I would recommend this company to everyone. We chose Seneca Creek over other company's because of their outstanding reviews and very competitive pricing. They installed gutters on our home. The installation was outstanding along with all the amazing people we worked within the company. Tim worked with us on our bid. He made everything very simple and stress free. This company is very professional and they provide outstanding customer service. We will definitely have them do work for us in the future. I would highly recommend them to do work for you! Thanks for the recommendations Diane! Maintaining an experienced workforce and continually training them on the newest materials and techniques allows us to provide excellent quality with great efficiency. The result is providing our customers with superior value. Made the whole process of getting new windows a breeze. Thanks Pete - Nice word play! The windows really look great - look forward to working on your next home improvement project. Thanks Hugo! We pride ourselves on promptly completing the job in a professional manner. Everyone involved in ordering and installing our new windows was fantastic! I will always recommend your company to others! Really appreciate all the referrals Jeannie! This is what our businesses strives for and one of our biggest compliments! We appreciate you for recommending us Sharon!